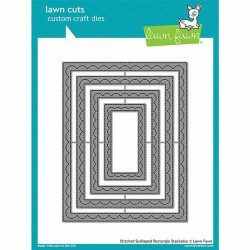 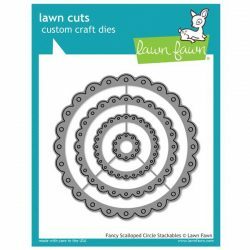 Outside In Stitched Scalloped Circle Stackables Lawn Cuts by Lawn Fawn. 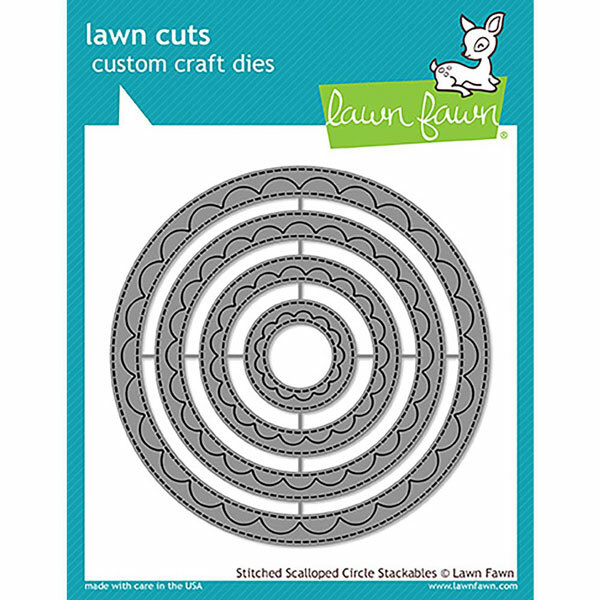 Includes four scalloped circles with a cute “stitched” border detail on the outside and inside edges. 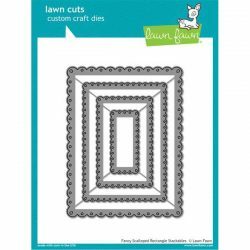 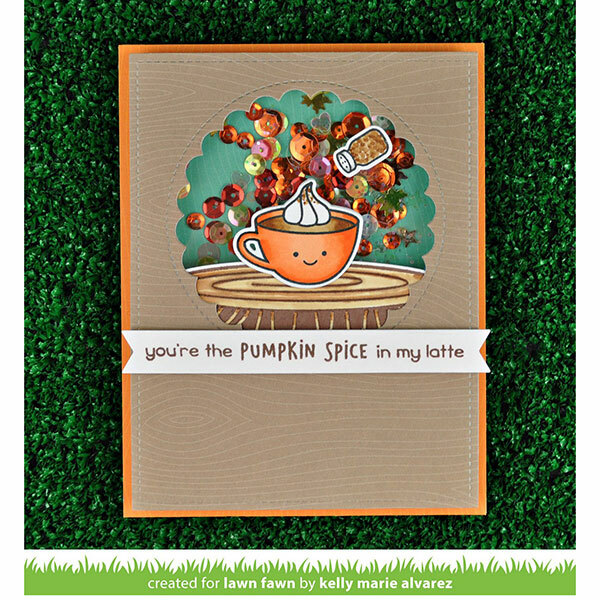 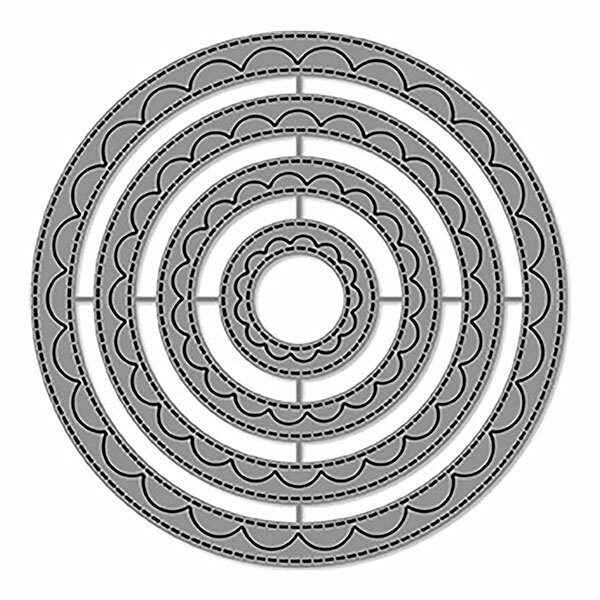 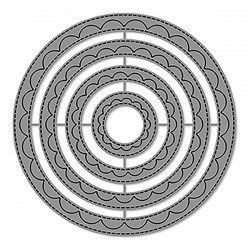 These versatile dies will create stitched shapes, and stitched openings as well!